Senator Elizabeth Warren is not only hoping to run against Donald Trump after the primaries are over, but she’s also taking some serious shots at him from the Senate. Warren has re-introduced legislation that would force Presidents and Vice Presidents to completely divest all of their holdings before assuming office, a move that would prevent people like Trump from making a single penny off of their time in office. This legislation is sorely needed, and Warren knows that it’s the best way to hit Trump where it matters most. Ring of Fire’s Farron Cousins discusses this. 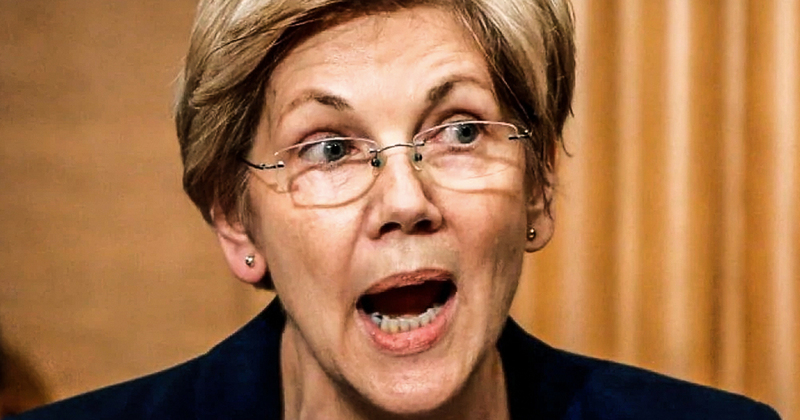 Elizabeth Warren is making sure that Donald Trump understands that she is not going to be a quiet candidate, that she is not going to be steamrolled by the president of the United States should she become the 2020 Democratic presidential candidate and she’s doing it by hitting Donald Trump where it hurts him the most. His Wallet This Week, Elizabeth Warren reintroduced legislation called the presidential conflicts of interest act, which would require any president and any vice president and any single person that the president appoints to his cabinet or to head up an agency. They would have to 100% completely and fully divest from any business interest that they have. Meaning should this pass, which they tried to pass it in January of 2017 Republicans didn’t let it happen, but if this bill were to become a law that would mean Donald Trump would no longer receive any financial profits, would no longer be an owner, would no longer be a member shareholder or even associated with any of the Trump properties around the planet. In short, he’d no longer be able to make a single dime off of being president. Of the United States when he goes down to Mara Lago, he would have to pay for a room just like everybody else. All those tens of thousands of dollars in golf cart rentals that the secret services paying, that money wouldn’t go back into Trump’s pocket. It would go to whoever owns that company now, which yeah, it would be as kids. But do you think those kids are nice enough to turn around later? Just give their dad that money? I don’t. I don’t think that family cares about anything but money. And that includes one another. This piece of legislation that Elizabeth Warren is pushing right now. Not only is it sorely needed, but to be honest, it’s a bit shocking that this isn’t something that was done decades ago. Right. I mean, don’t you think we should have addressed this problem before it actually became a problem? How with Jimmy Carter and, good God, I’m almost tired of saying this, but it’s 76 they’ve made him sell his paid off farm. Yeah. At Trump gets to own properties with his big stupid name on it all over the planet and Republicans like, no, it’s fine loss. Jimmy Carter had to sold peanut farm. Oh, peanut forum. What’s he going to make from that? Quite literally peanuts if you ask me and yet here we are. We have a president who’s making money hand over fist and then tries to make it a big deal. When I just donated $100,000 in my quarterlies, Sarah Salary to government department. Well, fantastic. Your trips down to Maro Lago have netted you a couple million, but thank you for donating the hundred thousand back to the government or somebody like Betsy devoss who came out this week and said, I’m cutting all federal funding for the Special Olympics and I’m redirecting 60 million towards these programs that are going to benefit me because they’re going to go to programs that I’m financially invested in. It would put an end to that. This isn’t about Trump or his massively corrupt cabinet. This is about bringing a little bit of accountability to Washington DC, trying to get rid of the conflicts of interest, and this is what is desperately needed in this country. It was desperately needed in this country a hundred years ago, but you take it when you can get it, I guess, and Elizabeth Warren is leading the charge because she knows how to hurt Trump, and that’s going to come in real handy as we move forward in the Democratic primaries.